A tax of 5 percent on speculative financial transactions to fund microfinance projects in developing countries. 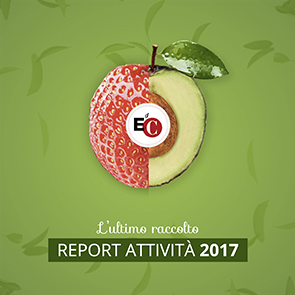 This is the proposal made by Luigino Bruni, professor at the University of Milano-Bicocca and vice-director of the Econometica Interuniversity Center of research on business ethics, together with economists Leonardo Becchetti, Gustavo Piga, Lorenzo Sacconi, Francesco Silva and Stefano Zamagni. Through the FIT (Financial transaction tax), there would be the double advantage of minimally regulating the financial market and gathering funds to help reach the Millennium Development Goals defined by the UN and to finance global public goods. It is a project that is generating always more consensus, even among leaders of the main economic powers, like French President Nicolas Sarkozy, for example. Considering the frequency and proportion of speculative transactions, through FIT, it would be possible to gather as much as 200 million dollars each year. To understand the contribution of this proposal, just think that 30 million Euro would ensure obligatory elementary education in the whole world. "The extent of our civilization is staked on the tax on financial transactions," said the appeal, "as is the fact that we can truly call ourselves civil". Professor Bruni, what point are we at? "We have gathered many supporters in the academic world, both in economics and in banking. Many more than we thought. That is why it seems like this is the right moment to relaunch this proposal, with greater weighting and less urgency than the way we did two years ago. After the proposal went ahead in 2001 in Genoa, by the Focolare Movement and thanks to the involvement of businesses that adhere to the Economy of Communion project, we have now entered a second phase: an analogous proposal, but even more shared, spread and articulated. I feel that this is the way in which we must go ahead." "Ten years later, we want to present the Genoa manifest again in 2011, this time in Brazil, on the occasion of the twentieth anniversary of the Economy of Communion. We want to present it as our concrete proposal to be launched worldwide and with greater emphasis. By now, we not just talking about financing governments and non-governmental organizations. There is need to give an impulse to the capitalization of the millions of micro financing institutions that exist in developing countries. We, with the worldwide network of Economy of Communion businesses, can support this project. Besides, we want to launch a big project of exchange among professors throughout the world, because without quality education, one cannot get out of dire poverty." Can you explain this exchange project better? "We could reinforce the links between the different academic institutions, which are very fragile in developing countries. We could also finance exchange projects, which would involve foreign professors that could spend a certain amount of time in their universities." Among your proposals, there is also that of not taxing Italian Treasury Bonds in order to not weigh on citizens. "Family savings should not be taxed. We propose a tax on speculative finance – but not to demonize finance in general, because it is necessary, and we should not forget that it was invented by the French in the Middle Ages. The problem is not only that of gathering money, but also that of spending it well. Speculative finance never stopped, even during the crisis. It never failed. A minimum percentage of its organisms closed, but others were recycled in thousands of other ways. Just think of the recent scandal of a bank, saved by public funds, that continues to pay enormous bonuses to its managers. It will always do so as long as no institutional change takes place. We should not close everything, but if we want things to work, we need a system of rules and controls. As someone said, there can be no good society and good economy without good finance, which requires regulation by on the part of governments and new civil protagonism on the part of the people."